AARC is co-sponsoring the Sun, January 22, 2017, 10:30am – 12:30pm screening of the documentary-in-progress, Praying with My Legs, about Rabbi Abraham Joshua Heschel. Its filmmaker, Steve Brand, will speak via Skype and Rabbi Alana Alpert, who is in the film, will add her own remarks. The brunch and film showing is organized by the Beth Israel Congregation Social Action Committee and will honor their volunteers and include opportunities to support the completion of the film, and Detroit Jews for Justice. When this program was planned several months ago, the date was chosen because of its proximity to both Dr. Heschel’s yahrtzeit on the 18th of Tevet, and the national day of honor for Dr. Martin Luther King, Jr, this year, on January 16. King and Heschel were friends and colleagues who marched together at the front of the 1965 Freedom March from Selma to Montgomery. However, the planners did not anticipate that the date of the event would also coincide with the inauguration of someone who is bringing white nationalism into the White House. This film could be precisely the spiritual and political inspiration we need to face the future. Heschel was compelled by his religious beliefs to leave the confines of his study to fight for human dignity, immersing himself in the struggle for civil rights and human dignity. The brunch at 10:30 is free, and everyone is welcome to come. To ensure that there is enough food, please RSVP to BIC Office by Tuesday, January 17th, office@bethisrael-aa.org. More about the film here. As is our tradition at AARC, between services on Yom Kippur we have several workshops where we can together study, meditate, and discuss. This year, there will be three sessions. From 2:15 to 3:30 pm Barbara Boyk-Rust will lead “Soul Nourishment: Meditation and Sacred Chant for the Quiet of the Day” and Ellen Dannin will lead “Yonah – It’s Much More than Just a Whale.” From 3:45 to 5 pm, Margo Schlanger and Ronald Simpson-Bey will lead a conversation about the modern experience of imprisonment, and what kind of conditions–physical and programmatic–create the best chance of t’shuvah. All are welcome to join any of these workshops, whether or not you are attending services with us. It’s our Yom Kippur tradition at AARC to have several afternoon sessions where we can together study, meditate, and discuss. This year, there will be three sessions; two from about 2:15 to 3:30 pm, and one from 3:45 to 5 pm. Soul Nourishment: Meditation and Sacred Chant for the Quiet of the Day. As we fast and pray on Yom Kippur we are asked to be in more direct contact with our spirit and with our connection to God than any other day of the year. While we move toward this during the evening, morning, and late afternoon services, what assists us during the spaces between the services? A walk, a nap, a quiet conversation? Each may be of help. A different way of prayer is also fitting. It is a time of day when we may be longing for sustenance. Together we will create a form of soul nourishment through meditation and offering up a few sacred texts in chant. May this time augment and amplify the expression of our soul on this holy day. Yonah – It’s Much More than Just a “Whale”: We will share reading the story of Yonah / Jonah, with time for participants’ contributions, questions, thoughts. Feel free to bring your own texts. At 3:45, you can choose between a walk, a chat with a friend, or whatever else moves you, and a session that uses Jonah, again, as a starting off point a conversation about solitary confinement. We’ll start with some materials from this T’ruah study guide (which is based on a Yom Kippur d’var member Margo Schlanger gave at AARC in 2013). But we’ll move fairly quickly into the modern experience of imprisonment and examine the question, What kind of conditions–physical and programmatic–create the best chance of t’shuvah? Our leaders for this session will be member Margo Schlanger and Ronald Simpson-Bey. Ron is the Alumni Associate for JustLeadershipUSA (JLUSA), part of the steering team of the newly formed Collaborative to End Mass Incarceration in Michigan (MI-CEMI), and co-founder and advisory board member of the Chance For Life (CFL) organization in Detroit. He served 27-years in the Michigan prison system, where he founded many enrichment programs rooted in transformation, redemption, and self-accountability. In the course of that time, he spent two years in solitary confinement. He was a jailhouse lawyer who got his conviction reversed by the courts and got himself out of prison. 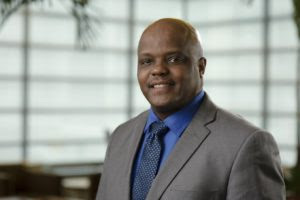 He attended Eastern Michigan University, Mott Community College, and Jackson Community College, and he has worked as a staff paralegal at the former Prison Legal Services of Michigan. On this day of atonement, join this workshop to better understand American imprisonment, and what kinds of change we need and can help with. The Shofar Service, which happens in the later part of the Rosh Hashanah Service, is divided into three parts: Malchuyot (majesty/sovereignty), Zichronot (remembrances) and Shofarot (call to action). For the last few years, AARC congregants have offered short 3-5 minute personal stories to introduce each section of prayer. This has been a really meaningful way for our members to participate in communal leadership and share an important part of themselves with the community. For example, in past years, Kevin Norris shared about a health challenge (Shofarot) , Dina Kurz talked about higher power (Malchuyot), and I talked about hiking in the alps (Malchuyot) and (another year) how my daughter Molly and I shared memories of our old house in an attempt to get it sold (Zichronot). Last year, this is where Clare called us to welcome Jews of all colors (Shofarot). So, do you have a story to share? Contact me (drdebkraus@gmail.com) with your story idea, and I’ll try to fit it into the service. In this blog on her site, the Veleveteen Rabbi, Rabbi Rachel Barenblatt introduces each section of the Shofar Service with a poem, directing our hearts to open to the prayers. Another resource on the Shofar Service is offered by T’ruah: The Rabbinic Call for Human Rights, with these kavanah/intentions for Malchuyot, Zichronot, and Shofarot. These may help you get started on finding your story. All are welcome to join us as we study from Talmud Berakhot and deepen our understanding of our rabbinic tradition’s relationship to prayer, as well as our own. No Hebrew knowledge or previous Talmud study necessary. Sunday July 24, 2016 10-12noon at the JCC 2935 Birch Hollow Dr. Please RSVP for this session and all of the other Shabbaton events here. You are welcome even if you don’t RSVP, but it sure helps us plan if you do let us know you are coming. Adult Learning, Sunday 7/24, 10:00 AM, JCC: (How) Should A Person Pray? Jews celebrate the New Year in the fall, still, Nissan is considered the first month of the year because it is the first month in which we were a free people. In midrash and legend, the first Rosh Hodesh was marked by Moses as the preparations for the Exodus began in earnest. If you didn’t begin spring cleaning on the day after Purim (some people really do this! ), this week is a good time to begin to rid the house of hametz/bread and any of the things you wish to discard. Nissan is also the month, according to legend, in which Moses’ sister Miriam, died. Chabad.org records this piece of “Jewish History” as “Miriam’s Passing (1274 BCE) Miriam, the sister of Moses, passed away at the age of 126 on the 10th of Nissan of the year 2487 from creation (1274 BCE) — 39 years after the Exodus and exactly one year before the Children of Israel entered the Holy Land.” I love the exactness of this (although the date of Nissan 10 is disputed). This week’s parsha, Tazria, describes how to diagnose and treat a skin disease, tzaraat, which later afflicts Miriam. This connection between Rosh Hodesh Nissan, Miriam, and tzaraat is rich material for poetry and drash. Here are a few; we’ll share more on Saturday morning, hope you can make it. This week’s parashah deals with a somewhat puzzling disease, called tzara’at, often translated as “leprosy.” As the Torah describes it, it’s an affliction that could appear on human skin, on clothes, or even infect houses. It’s not clear if the affliction is truly physical, as Leviticus seems to indicate, or if it’s a physical manifestation of spiritual distress, as a number of commentators suggest. However, either way, the solution to the problem is isolation. The afflicted party is shut up for a week or more, forced to live outside the camp, away from the rest of his or her community. On the one hand, this quarantine is traditionally understood not as a punishment, but rather a time to recover and protect others from infection. One could also imagine it as something of a retreat—a time for someone who is physically or spiritually unwell to recuperate and regain strength. On the other, well, I can’t help but think about what it must have been like to be told that you must be cast away from loving, human connection as a result of contracting an ailment or stumbling interpersonally. What kind of impact did being sent away from the camp have on the afflicted? Between 80,000-100,000 prisoners are in solitary confinement in the United States on any given day, many for rather minor infractions. Despite the fact that more than 15 hours in solitary confinement may begin to have an adverse impact on a prisoner’s mental health, the average sentence in solitary can run, depending on the state, anywhere from 23 months to 7.5 years, and longer for those on death row. Many argue that, in light of the significant mental harm that it causes, solitary confinement should be classified as a form of torture. Human beings are social creatures. We need psychological, intellectual, spiritual, environmental stimulation to function properly, to grow and develop. Without that stimulation we deteriorate. I do not care how strong one is mentally; solitary confinement will adversely affect you. I have literally watched grown men deteriorate before my eyes, and go mad. There were times during my… stint that I lost it and began to hallucinate and lose my grip on reality. What the public needs to realize is that eventually all of those who experience that will be released back into society, far more broken than when they went in. Many traditional commentators attempt to cast the metzora, the one with this strange Biblical leprosy, as responsible for their own suffering—for example, citing a tendency towards malicious gossip as the reason the person needed to be exiled. But there’s another textual tradition that regards them with a softer eye. It’s on God to be with those who suffer. It’s on us to prevent unnecessary suffering, insofar as we are able. When we push for just and humane reforms to our contemporary prison system, we engage in the work of the Messiah. AARC’s Torah is old and much-loved. In fact, it seems to be over 200 years old. In recent years, it’s gotten a bit unstable; there are a number of tears in the scroll, and the stitching at the edges is coming unraveled. Hagba–the display of the Torah to the Congregation, after it is read–has gotten a little too exciting. So we’re pleased to say that Rabbi Moshe Druin, of Sofer On Site, will be visiting us on Tuesday, March 29, to fix all the stitching/tears. He’ll work at the JCC, and you’re invited to come and watch. Kids and adults–come by at 2:30 or 3. Sofer on Site frequently does community events for Torah restorations. Also, if you are able to be there for a bit and take some pictures, please let me know (email me at margo.schlanger@gmail.com). March 25 to 26 is our year’s last Shabbaton with Rabbi Michael Strassfeld, who has visited us from New York and led terrific services and events. He and we will be busy this last weekend: Our Fourth Friday March 25 will be our community’s Purim celebration–Megillah reading, dinner theatre, shtick, etc. More details here and here. Please join us! Please join us for this discussion, and to say farewell to Rabbi Michael and thank him for his time with us. Our Tu B’Shevat Shabbaton was a great success. Read all about the text study here, and the seder here. We’re excited to announce a Tu B’Shevat Shabbaton, the weekend of Jan. 22, with three events, all led by visiting Rabbi Michael Strassfeld, Rabbi Emeritus of the Society for the Advancement of Judaism. The Shabbaton will be environmentally-themed throughout. Our regular Fourth Friday Kabbalat Shabbat service and potluck, at the JCC. This will start with a Tot Shabbat gathering for preschoolers and their families, at 5:45 pm. Childcare (and pizza for the kids) are available starting 6:15. (RSVP to Clare Kinberg for either or both.) The service starts at 6:30. Bring something for the vegetarian potluck dinner that follows. Saturday Tu B’Shevat Seder: 5:30 pm. With vegetarian supper. Free, but reservations are required. RSVP at http://shabbaton-FoodLandJustice.eventbrite.com. Note: there will be a separate kid-friendly event at the same time, done in time for its participants to join the full group for supper. The Tu B’Shevat seder that will follow is structured around eating of four different kinds of fruit, coupled with readings, songs and kavanot/reflections. The Kabbalists of Safed created a Tu B’Shevat seder in the 17th century, loosely modeled on the Passover seder. Over the past several decades, Jews across the world have used Tu B’Shevat as a time to focus on the environment. Rabbi Strassfeld notes, “Our Tu B’Shevat seder will combine the focus on personal growth of the Jewish mystics with contemporary ecological concerns.” Detroit’s Congregation T’Chiyah and its Rabbi, Alana Alpert, will be joining the Ann Arbor community for the seder, as will several Hazon Detroit fellows. The events are co-sponsored by AARC and the Jewish Alliance for Food, Land, & Justice. They are a continuation from last year’s year-long exploration of the teachings of Shmita, and are funded by an impact grant from the Jewish Federation of Greater Ann Arbor. AARC and the Alliance welcome all community members to join any or all these Shabbaton activities; the events are free, but online registration is required. Our flyer is below. Please feel free to download, print and share it! Rabbi Michael Strassfeld is the author, editor, or co-editor of numerous books and articles, including three versions of the Jewish Catalog, A Shabbat Haggadah: Ritual and Study Texts for the Home; and Jewish Holidays, a guide to the holidays used in many Jewish households. Since the 1973 appearance of the first Jewish Catalog, subtitled “a do it yourself kit,” Rabbi Strassfeld’s books have been the go-to publications for progressive American Jews seeking explanations, contemporary readings, and resources relating to traditions and holidays. On Saturday evening January 23, AARC visiting rabbi Michael Strassfeld led about 60 people on a ritual journey through the mystical four worlds of the Kabbalists, exploring the different qualities of each world and our relationship to them. The Tu B’Shevat seder, modeled loosely after the Passover seder, was created by the mystics of S’fad in the 16th century, but the original holiday itself grew out of ancient tithing, and later was associated with planting trees in Israel and caring for the land. In an earlier study session, Rabbi Michael led an exploration of Jewish teachings about the environment. The Tu B’Shevat seder is more mystical, a product of rabbinic imagination. Each mystical “world” is associated with a category of fruit, its season, an aspect of self, and an intention–and accompanied by a glass of wine. The Haggadah for the Tu B’Shevat seder, put together by Rabbi Michael and AARC co-chair Margo Schlanger, was rich with readings and illustrations that deepened our understanding. And, yes, like Passover, it is structured on fours: four worlds, four glasses of wine, four seasons. This ancient New Year of the Trees or “Rosh Hashanah L’ilanot” was also associated with the mystical feminine aspect of God, or Shechinah. We added Miriam’s cup to our seder, and said a blessing for Miriam’s well, for without fresh water, the trees and plants cannot flourish. The cup was dedicated to the people of Flint, whose water has been polluted. Our room was set with a U shaped arrangement of tables beautifully set with platters of fruits and seeds (carefully following the no nuts rule of the JCC) that illustrate the four worlds. The platters were piled high with figs, bananas, grapes, apple, pomegranate, pears as well as olives, dates, apricots, raspberries: Fruits with pits, hard shells and soft, dried and fresh. The beauty of the ritual pairs a mystical sphere or world with a fruit that symbolizes it, as well as mirrors our own spiritual state. For instance in the physical realm of Assiyah (winter, white wine) we ate fruit with protective outer shells, such as banana, pomegranate, or oranges. When we peel away our protection, and can be vulnerable, we can share the sweetness inside. If you are unfamiliar with the Kabbalah, this is a sweet way to become familiar with the four worlds of Assiyah (Physical), Yetzirah (Formation), B’riyah (thought), and Atzilut (Spirit). This event was co-sponsored by Jewish Alliance for Food Land and Justice with an impact grant through the Jewish Federation of Greater Ann Arbor. The seder helped us reach our goals of bringing together people from the wider community and celebrating the deep roots we share in the Tree of Life. AARC was joined by Rabbi Alana Alpert and members of Congregation T’chiyah of Oak Park, fellows from Hazon Detroit, and many others from the Ann Arbor community. Like all ARRC events, we could not have done this without volunteers, and a big thank you to all who planned and worked so hard–Margo Schlanger, Clare Kinberg, Carole Caplan and Rena Basch. For more information on Tu B’Shevat there are many good resources on the web at Hazon.org, and Ritual Well, to name a couple. The Jewish Alliance for Food, Land and Justice Facebook page is active–come visit!